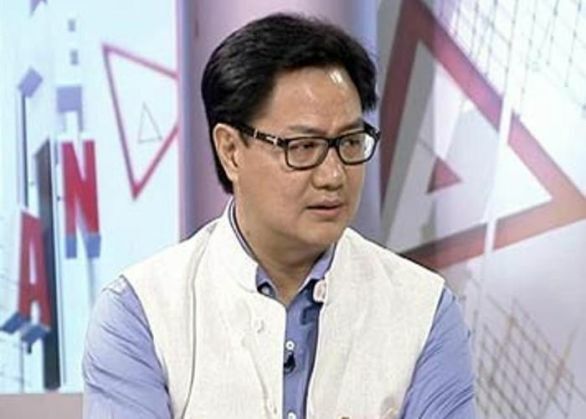 India as a country is prepared to tackle terrorists effectively despite threats from Islamic State or ISIS, said Union Minister of State for Home, Kiren Rijiju. Rijiju asserted that Muslim youth from South Indian states like Kerala, Karnataka, Telangana, Tamil Nadu and Andhra Pradesh were more attracted towards the ISIS. However, he also said that the country was prepared to tackle the situation. "It's very difficult for me make a comment on that. South India has been having traditionally more links with Middle East so there is more regular exchange of travelling there. But I cannot the say that it's the reason. But reports have come more from South India and that's a reality," he said in an interview given to TV channel India Today. He also appreciated the efforts of the Muslim community in areas like Western Europe, stating that they had been successful in making sure that youth are not attracted towards the dreaded terror group.